Samsung Galaxy Note 8 has begun pre-registration of its upcoming mobile phone in India. Check out features, launch date and other factors associated with the phone here. Samsung Galaxy has started pre-registration of its upcoming flagship smartphone in India – the Galaxy Note 8. Although the launch date is not mentioned, interested buyers can book the phone on Samsung’s website. Apart from mandatory details like name, email, mobile number, and pin code; users will need to fill in what they’re looking for in Galaxy Note 8. 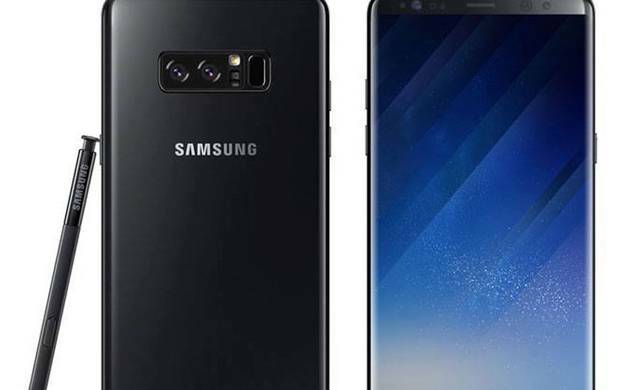 The Galaxy Note 8 is built on top of Qualcomm’s Snapdragon 835 chipset, although India will get the Exynos 8895 version as was the case with Galaxy S8. There's 6GB RAM as standard and 64GB storage for the base variant, which could be the model that India gets along with 128 GB variant. There’s a 6.3-inch 2K AMOLED Infinity Display at the front and a 12MP + 12MP dual camera setup at the back.Further, the phablet runs on Android 7.1.1 with company’s Samsung Experience UI on top. The Note 8, moreover constitutes a dedicated button for Samsung’s virtual voice assistant Bixby. It also has a 3300mAh battery and is IP68 certified water and dust resistant. Connectivity on the smartphone includes NFC and MST for Samsung Pay and offers USB Type-C charging port. The Galaxy Note 8 is expected to be unveiled for the Indian market sometime in the last quarter of September 2017. Samsung Galaxy S9 to be launched by end of January, 2018?